Zimbabwe, the former southern Rhodesia, is a landlocked country in southern Africa and is of particular interest to the big-game hunter. Zimbabwe has a good population of all big game species such as leopard, buffalo, elephant but also crocodiles and hippos. Compared to South Africa, the accommodations are a bit more humble, the focus here is clearly on the hunt. 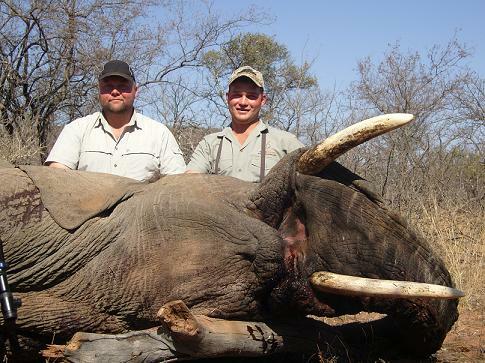 In addition to the various big game species, Zimbabwe also offers excellent antelope hunts, e.g. on the sableantilope. The landscape consists largely of dry savanna with some light dry forests which consist of the typical savannah trees such as baobab tree and umbrella acacia. During the dry season the grass is short and yellow / brown which makes the game very visible during this time, while in the rainy season the grass can grow up to 2 meters. In Zimbabwe our partner offers hunting in different areas, Save Valley Conservancy, Deka, Gonarezhou, Matesi / Binga and Nyakasanga. 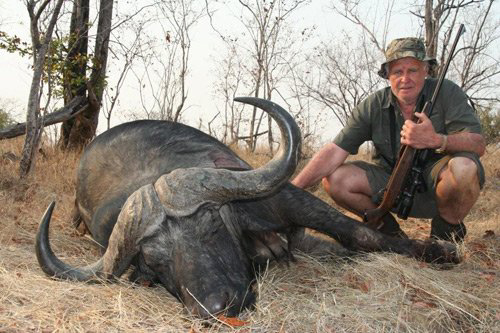 Depending on the selected hunting area, you will arrive directly via Harare or via the Victoria Falls airport. The hunt takes place mostly as a footstep hunt following a drive with the SUV in the specific area. The accommodation varies depending on the region and camp and usually consists of safari tents or small lodges. Meals and soft drinks are included and the many years of experience of our partner allows him to build an effective logistical support for any destination while you relax to the quiet heartbeat of Africa. In addition to hunting, Zimbabwe also offers various tourist destinations, including the famous Victoria Falls. The prevailing climate is subtropical to tropical with humid, partly humid-hot summer (up to over 35 ° C) and a pleasant dry winter time with temperatures up to 25 ° C. Temperatures also vary with altitude in each month, as Zimbabwe has many altitudes, and in many parts of the world, temperatures of 25-30 ° C prevail in summer. The months April to September are the dry months and the rainy season falls in the months of November to March. If you have any questions or are interested in an offer for hunting in Zimbabwe, please contact us via Email or contact form.